The City of Joy, Kolkata is the popular cultural cradle of India. It is absurd to even think that the city of Kolkata is just another metropolitan; it is the Metropolitan of Festivity and Culture. The vibrancy of Kolkata is always off the charts for all who visit the city or who stay in the city. 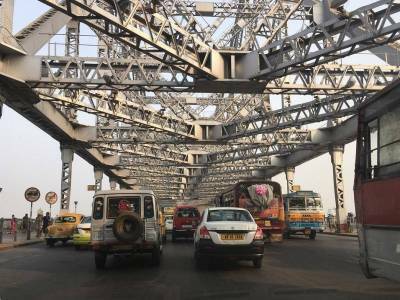 The most iconic structure of Kolkata that just speaks the name of the city loud and clear is, without a doubt, the cantilever Howrah Bridge. There was a time when the bridge was used as the symbol for the city. 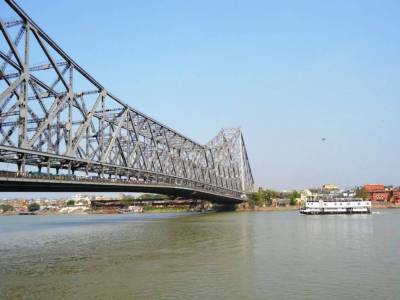 The Howrah Bridge was initially a pontoon style bridge built in 1874 under the British Colonial rule for linking the administrative belt of Kolkata with the Industrial belt of Howrah located on the two banks of River Hooghly. However to keep up with the payload of transportations, the bridge was reconstructed with massive steel cantilever structure and was reopened as grand bridge with 8 land road & pedestrian lane in the year 1943. 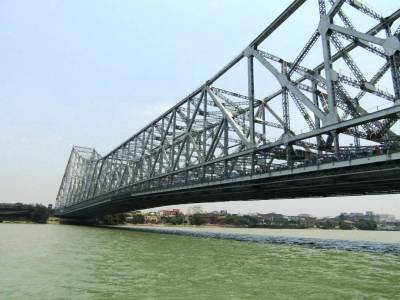 The name of the bridge was changed to Rabindra Setu in 1965 to commemorate the legendary poet. The Bridge is one of the largest of its kind in the world and the only one in India. It is very elegant and robust in structure. The tourism is very intricately linked around the Howrah Bridge as far as city sightseeing is concerned. The present beautification and conversation drive has made the bridge more majestic during night which can be fully enjoyed while ferrying a launch in the river. Many of the tourist spots of Kolkata and Howrah by the riverside get a good vista of this towering royal cantilever. 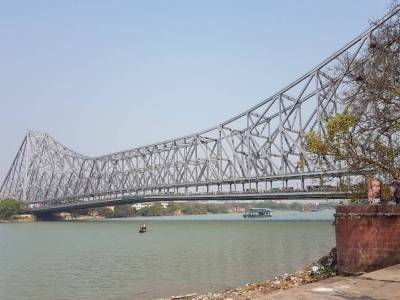 The some of the tours and travels let tourist give a history ride of Howrah Bridge both on foot and on wheels but the launch service is truly the most complimentary tourist guide for Howrah Bridge of Kolkata. 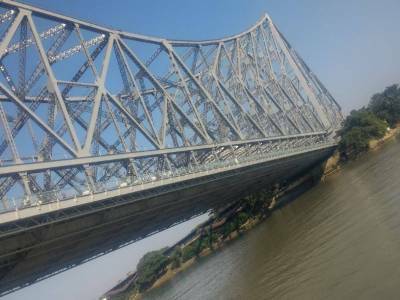 Get quick answers from travelers who visit to Howrah Bridge.